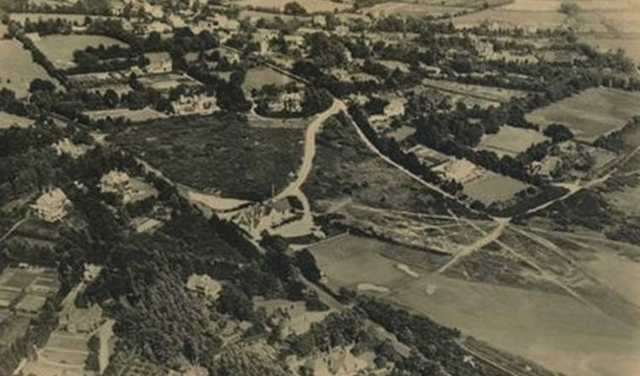 This page is devoted to dispelling some myths and commonly held misunderstandings about the ownership of Crowborough Common and its relationship with the landowner since 1906 - Crowborough Beacon Golf Club. 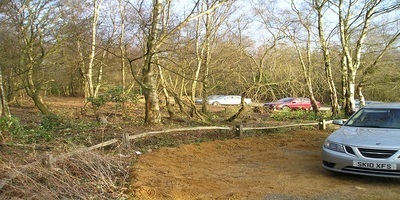 The application in May 2012 to extend the existing car park facilities generated many letters of both objections, and support, to the Wealden District Council. Following a degree of lobbying on both sides, the letters arrived from far and wide, both from residents in and around Crowborough, whether members of the golf club or not. But they have also arrived from further afield; Croydon, Eastbourne, New Barnet and even from Switzerland and Australia! Unfortunately, many of the comments raised appear founded on either a lack of legal knowledge, history of ownership, or more likely a simple misunderstanding of the meaning of 'Common Land'. Whether this has come through innocence or, in some cases, misdirection, matters not. The following comments are all genuine; all raised in 2012 via submissions to the WDC Planning Department and this page is intended to correct any ongoing misunderstandings and correct any misinformation. The legal owners of the Common - the Golf Club - respect the opinions of everybody with a genuine interest in the preservation and on-going management of the Common and the statements below are presented in the hope that those with fears or concerns about the Golf Club's intentions towards either the Common as a whole, or in the tiny area adjacent to the existing car park are, ill-founded. The Golf Club is no longer - if indeed it ever was - the so-called "elitist" private members club which is remote from the local community, having become a CASC (Community Amateur Sports Club) some years ago. The majority of Golf Club members are long-standing Crowborough residents themselves; many living within walking distance, the last thing they would support or tolerate is exactly the sort of things that are suggested below. Should anybody have cause to believe that any of the information listed below be factually incorrect, they are very welcome to submit their comments and any genuine cause for concern to the General Manager at the address listed on the contacts page, or by using the online comments form below. Any errors or omissions will be investigated and, if need be, willingly corrected. Listed below is a summary of the 'common themes' from the letters of objections, and further down actual quotations from individual objectors. In some instances the points of objection are disturbingly incorrect, and in others the choice of language somewhat disappointing. We hope that our attempts to correct all of the misunderstandings and allay people’s unwarranted fears or suspicions are taken in the spirit that it is intended and not as confrontational. The Directors of the Golf Club feel that they can no longer allow factually inaccurate statements or allegations to remain unanswered. We begin by answering five general questions, or comments raised by members of the public, followed by a list of the recurring themes and genuine quotes, and then finish with a long list of related statements. QUESTION 1: "So, just where is Beacon Wood"? Another website incorrectly refers to "Beacon Wood, the cherished summit of Crowborough’s ancient common (c.1564) that forms the town’s distinctive wooded gateway." The facts of the matter are that Beacon Wood does not exist either in name or actuality. And secondly that the area of Common in question falls well short of the summit, 1,130 yds (1km) to be precise, as the ancient aerial photographs clearly show. As far back as the 1825 map, viewable on the weald.org website, you will find 13 named woods, but no Beacon Wood - it does not exist. The maps of 1825, 1875 and 1899 will clearly show the other 13 named woods all within a short walk of the golf course, as Dother Wood; Sweethaws Wood; Moulden Wood; Oaky Wood; Piping Wood; Newnham Park Wood; Broadfield Wood; Fouracre Wood; Turkland Wood; Quarry Wood; Little Wood; Walsh Wood; Scaland Wood and Common Wood. If you 'google' Beacon Wood you will instead see that it is the home of the Council Offices some three quarters of a mile up the hill, where it is actually home to the Registrar of Births, Deaths and Marriages. If there was ever a “Beacon Wood” which seems doubtful, in the complete absence of proof, perhaps it was actually developed into buildings now used by the local Council? 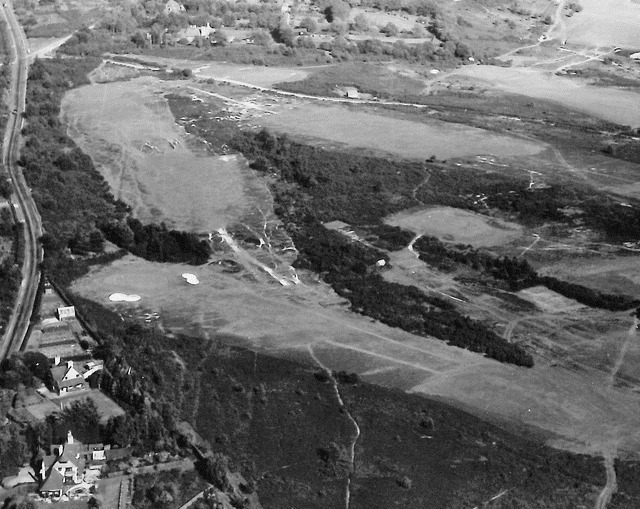 These aerial photographs from over 60 years ago show an area almost devoid of trees, and instead an open heathland. QUESTION 2: "Isn't Beacon Wood "Ancient Woodland"? 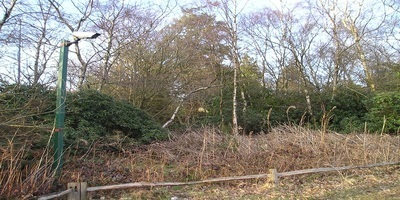 Having established that Beacon Wood does not exist, nor that the land in question is at the summit, we can also clear up another incorrect statement regularly mentioned, that the northern tip of Crowborough Common adjacent to the existing car park is not, and never has been "Ancient Woodland". Both descriptions suggest some sense of importance for what is otherwise described by qualified Forestry experts and Arboriculturists as low-grade woodland. Within you will find the woodland is inhabited with Laurel and Rhododendron as clearly shown in the photograph alongside, with invasive Japanese Knotweed, dead, after chemical treatment, in the foreground. Formerly of course, as all records, aerial photographs and vintage pictures and postcards prove, it was open heathland, along with the majority of the rest of the common. The Royal Observer Corps post would hardly have been sited in woodland without a view. The magnificent view of course is sadly being lost as too many trees now obscure the historical panorama. Bernard Darwin, the legendary Daily Telegraph and Country Life journalist (nephew of Charles) wrote in 1926 that the view "is really a very wonderful one. I do not suppose that there is a wider or more beautiful one in all England." Sadly that cannot be said today as the wide panorama narrows each and every year. QUESTION 3: "How can the Golf Club be allowed to have a 'Private car park' on common land”? In actual fact, the golf club already has what is effectively a “Private car park on common land”. Parking of vehicles on Common Land is an offence under the Bye-Laws which means that the only people able to legally park within the car parks are members and guests playing golf. This means that no member of the public can park there under any circumstances. Not even the few residents with 'Commoners Rights' are entitled to park vehicles on Common Land. Nevertheless, the Golf Club has long felt this to be something of a shame, that dog walkers cannot park there whilst out walking, neither the Ashdown Ramblers who occasionally meet there before setting off on a ramble, and as a result this is not actively policed. After all, the Golf Club does not have parking attendants! The planning application for an overflow car park meant that the needs of members, visitors and the general public could all be accommodated safely without parking dangerously on Southview Road and as a result, everybody could co-exist happily together. QUESTION 4: “How is it allowed to be fenced stopping people walking through the Common”? Well of course there has never been the slightest intention of stopping people walking through this area of the common. The existing car park was fenced although this is only 18" high so you can step right over it. The plans to put a lockable gate - also only 18" high - refer only to the overflow section of the car park and not the main car park. Their intention is solely to prevent undesirable nocturnal activities and illegal fly-tipping. These gates will not restrict public access any more than the existing fence has. It is not our intention to restrict anybody accessing this area of the Common for perfectly normal activities; hence this is another huge misunderstanding. QUESTION 5: "Was Joni Mitchell singing about Crowborough Common"? A local columnist, whilst writing a critical piece about the car park application, in the local newspaper, quoted the lyrics of the famous Joni Mitchell song 'Big Yellow Taxi' to suggest that the Golf Club's intention was to "pave paradise", adding inaccurate references to concrete and tarmac. This was an unhelpful article which showed a lack of research which is contrary to the policy of the Courier Group newspapers. The golf club had no intention of 'paving paradise', instead it had plans is to lay a sympathetic landscape similar to every other Ashdown Forest car park. The popular commentator on modern life, Alan Partridge, once famously discussed the lyrics of Joni Mitchell's song and rather succinctly summed up the misguided 1970's flower-power views on development, when he said on his TV programme:- "Well, that was Big Yellow Taxi by Joni Mitchell, a song in which Joni complains they 'Paved paradise to put up a parking lot', a measure which actually would have alleviated traffic congestion on the outskirts of paradise, something which Joni singularly fails to point out, perhaps because it doesn't quite fit in with her blinkered view of the world. Nevertheless, nice song." An amusing analogy perhaps? “Wanton Vandalism” – Mr Cook, East Sussex. The section on vandalism details in full the many genuine cases of vandalsim which the golf club has had to deal with over the years. Development will “ruin everyone else’s view” – Mr Playle, East Sussex. "Everyone else's view" is disappearing by the growth of poor quality woodland on what was historically an open heathland, as every old photograph and postcard ably proves. How worthwhile it would be to restore the historic maginificent views! “Golf club has no right to sequester public land for its private use” – Mr Brown, East Sussex. The use of the word "sequester" is wholly inaccurate. The land has been privately owned by the Golf Club since 1906, although some restricted public use has been permitted by the landowner. The landowner is Crowborough Beacon Golf Club. 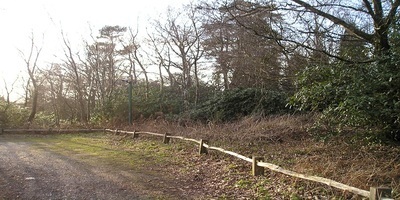 Referring to the ‘Beacon Wood’, “Not allow it to be stolen by the Golf Club for its selfish means” – Mrs Clare, East Sussex. Impossible to steal ones own property. The hope was a bigger car park would allow more regular use by members of the public, something which currently contravenes the Bye-Laws, which restricts use by members and guests only. “We need to prevent our green areas from being concreted over” – Mrs Halliday, East Sussex. As previously explained, there are no plans to concrete over anything. The Golf Club already has a private car park on common land. In fact it has two, the other in Sweethaws Lane adjacent to the Greenkeepers Barn over 1000 yards away. The third, adjacent to the Clubhouse is not on Common land. “How is it allowed to be fenced stopping people walking through the common” – Mrs Evans, East Sussex. There was no intention to erect fences to stop people walking through the Common, where they are legally entiteld to do so. Although there are already in place fences around the existing car park. “There is an abundance of wild life, most of which will be lost” – Mr Stone, East Sussex. There is an abundance of wildlife on the Common, although not a great deal in the area of the proposed car park. There is no evidence that any of it will be harmed, never mind lost. The section within this website reports on the rare bird species that are slowly returning to live and breed on the Common. “Destroy wildlife habitats and protected flora” – Mrs Roberts, East Sussex. As above, there will be no destruction of wildlife habitat or protected flora. In fact there is no protected flora in the small area adjacent to the car park. There is, however, protected flora elsewhere on the Common which the golf club is very mindful of and makes efforts to protect and provide the habitat for rare species to thrive. The Bog Asphodel and Bee Orchid being just two rare species of which more is written elsewhere on this website. Referring to the ‘Beacon Wood’ and the effect of the car park, “The loss of most of the wood” – Mr Shaw, East Sussex. The planning application required the felling of just 28 trees. The application clearly showed that there would be a properly managed woodland development programme for the entire area resulting in removal of some 35% of poor quality specimens to be re-stocked with indigenous hardwoods. In other words, proper woodland management, regeneration with the full approval of the Forestry Commission, the governing body for all woodland development in the country. The local enforcement officer gave permission early in 2012 for 30 trees to be felled on and around the practice ground. Almost a year later this had still not been completed, but it will in the near future. “Ruin another beautiful area of Crowborough with such a monstrosity” – Unknown, East Sussex. The planning application was for a small, landscaped overflow car park, no more, no less. Similar in nature to every other forest car park. “Change the use of common land” – Mr & Mrs Bonne, Surrey. There was no suggestion that this was changing the use of Common Land. “Without a proven need” – Mr Coxhead, East Sussex. The Golf Club would not have have invested considerable time and expense if there was not a demonstrable need. This need was borne out of a desire for safety, something which the Golf Club have genuine cause to take seriously. “How can an extension to the car park be so vitally important if there is now a 22% decrease in members” – Mrs Le Vay, East Sussex. Membership had indeed decreased during 2008-2010 but has increased since then. The need for a larger car park however, is not linked directly to membership numbers, but the congestion caused on days when there is a combination of members, visitors and occasional outside functions. “As shareholders in the private limited company that lodged the application, is this acceptable” – Mrs Le Vay, East Sussex. 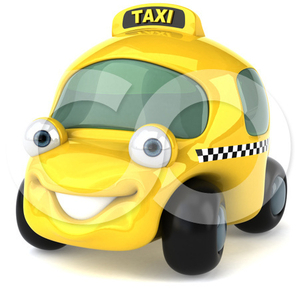 As shareholders in a Private Limited Company, the Directors and Management have a corporate responsibilty for the safety of its members and visitors whilst on the premises and providing safe car parking is an extremely important part of this responsibility. “We believe there is no requirement for additional car parking, as the golf club already have three ‘large’ car parks” – Mrs Hodgson, Oxfordshire. The Club does have three car parks, although our 3rd car park is over 1000 yards from the clubhouse and therefore of no help on busy days when people are visiting the clubhouse. “There is also a registered badger sett whose habitat would be destroyed” – Mrs Hodgson, Oxfordshire. The retained ecologists (TCM) advising the Golf Club with the application went to great lengths to ensure that the nearest badger sett remained undisturbed. “We object to this application, which would result in loss of registered common land which the public have a right to use under section 193 of the Law of Property Act 1925, and a Deed made in 1936” – Mrs Hodgson, Oxfordshire. Subsequent to Mrs Hodgson's objection, the 1936 Deed was revoked in February 2013 and under the terms of the CROW Act a golf course is "excepted land" and the rights granted by the Golf Club under the 1936 deed no longer apply. “The Beacon Golf Club has demonstrated time after time (e.g. the farcical and half-cocked presentation to DEFRA) that it wishes to develop, and just creates bad feeling within the community” – Mr Vaughan-Hughes, East Sussex. The Golf Club's responsibility is to safeguard the long-term security of the business and by doing so continue the responsible stewardship of the common which it has carried out for over 100 years. “I have never seen the existing car parks full to capacity and there is ample safe road parking close by if needed, this view is supported by the police” – Mrs Atkinson, East Sussex. The car parks have been proven to be inadequate on regular occasions and there is no safe road parking "close by". At no time have the Local Police "supported this" view, in fact quite the opposite. The golf club have written evidence to support this and to date, nobody has supplied any evidence that the Police have ever taken this view. See below for what the Police did actually say. The proposed car park was only ever intended as a seasonal overflow car park, it is not so much for members, but more so visitors on occasional busy days. Whether visiting to play golf, or even to mourn, as the club frequently hosts funerals of local residents. On such occasions there has been no alternative, other than for visitors to park on Southview Road. Any local resident suggesting this never happens is misinformed. Suggesting it is safe to park cars along Southview Road is irresponsible and ultimately dangerous as the Police explain below. What did Susex Police actually say? "I can confirm Mr Clegg did contact police regarding this issue, he asked whether there were any issues with parking in the road, he was told that police have not had to deal with any issues regarding parking, that's because very few cars are parked in this road, however this is not to say that there could be an issue and he was not informed by us that we didn't think parking on South View Road was a dangerous thing to do." "I understand the issues and have recently been to the car park regarding another unrelated matter. However I am also aware the other parties have used a quote from an officer that was not directed at road safety, the officer responded that throughout the year there were very few parking problems reported along that stretch of road. If drivers leave their vehicles in such a manner as to cause an obstruction of the highway or commit parking offences then police will have to deal with it by enforcement, even if this has to revert to getting the vehicle removed under police powers, due to the danger the vehicle is causing. It would not be for police to give permission for drivers to park, ESCC are responsible for highways and WDC can be responsible for road closures on specific occasions. If the Golf club have arranged for large events to take place then alternative parking should be considered and this will be down to the club, personally I do not think it would be safe to park on any bend in the road where this reduces visibility and obstruction to other road users. "I am aware of Mr Clegg's comments and he was told by PCSO Harrison in response to his question, that there are no parking issues in Southview Road that we have been made aware of. He did not state the question was in relation to the proposed planning application to extend your car park, if this was the case the response would have been the same, we have had no reports of dangerous parking outside the club or along Southview Road. I am sure that visitors to the club are mindful of the road and its topography and would not park their vehicles in a dangerous position on this particular stretch but would find a safer alternative. We will of course respond to any reports of dangerous or inconsiderate parking at the location if the need arises and look at ways to address the problem." None of these officers were around in the Club's Centenary Year, when a large golfing event led to the only overflow parking available as around the bend of Southview Road. As a result, the Police arrived and tried to have cars moved, which, on that occasion, proved impossible as golfers were out on the course and unable to move their vehicles. Any reasonable person, such as the oft-quoted 'Man on the Clapham Omnibus', could not for a second believe that parking on this narrow bending road, without a pavement, could be anything other than extremely danegrous. Hence the Police suggestions that nobody should park on this "particular stretch of road". Suggestions that the Police have advised it is safe to park on Southview Road are clearly, and deliberately misleading. one attributed to the outgoing Mayor, it was claimed that 18 holes x 4 players per hole = 72 golfers which equals the required number of car park spaces which demonstrates a lack of basic arithmetic. Just two days after the meeting the club saw 126 golfers playing between 09:00 and 14:00 resulting in 110 cars, excluding staff, which led to parking on SouthView Road as there was simply nowhere else to go. Councillor David Shaw suggested parking on Sheep Plain some 500 yards away, which was astonishing. The Police, as shown above, will certainly suggest that advising people to park on a narrow road with a 60mph speed limit is simply thoughtless and irresponsible. All the time that these TPO's exist, they remain as protection for concerned locals, thus there should be no concern about any plans for ‘creeping development’. Indeed the future plans are for replacement of poor quality specimens (silver birch etc) with more appropriate hardwoods in conjunction with approved Forestry schemes. Other than that, the reality is that there is no arboricultural value, or need to protect what is mostly a poor quality area of woodland. The remaining 98% of the Common is not subject to any TPO’s and the Club continues to manage the entire common in the best interests of all without complaint or suspicion. 25 of which are small silver birches. 28 out of several hundred in this particular area which was, as our extensive archives and aerial photographs show, like the rest of the Common, a tree-less open heath similar to Ashdown Forest. Incidentally the Club has fairly recently received permission to remove approximately 30 mature trees protected by a current TPO barely 200 yards from the area in question. Southview Road provides a clue in its name, but it sadly enjoys almost no view South anymore. The Club has taken a lenient view of illegal rubbish dumping by some immediate neighbours, but this will now cease and will be reported to the authorities in future. Likewise illegal buildings and fly-tipping. The recent outbreak of snares to trap badgers saw Club staff assisting the local Police in catching the culprit engaged in this barbaric practice and, as a result, the Police have taken action against this local resident. We have photographic evidence of all of these illegal activities which take place on land owned by the Golf Club. Crowborough Beacon Golf Club was recently voted the 68th best course in England and has attracted a significant number of new members since January 2012, bucking the national trend of membership decline. Likewise the financial health of the Club has improved as a result and we are currently an employer of almost 40 local people. The prosperity of the Club will facilitate on-going responsible management of the Common which has been in the ownership of the golf club for over 100 years. Improved heather restoration is planned for the immediate future in line with methods used on Ashdown Forest, this of course involves the removal of trees, which has become accepted practice for heathland restoration throughout the country.